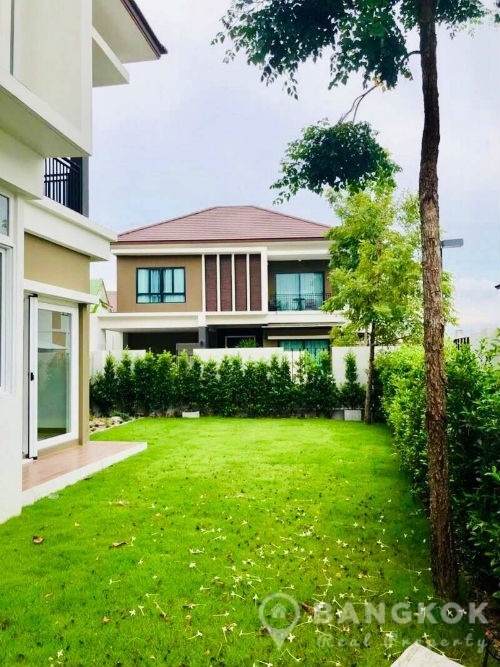 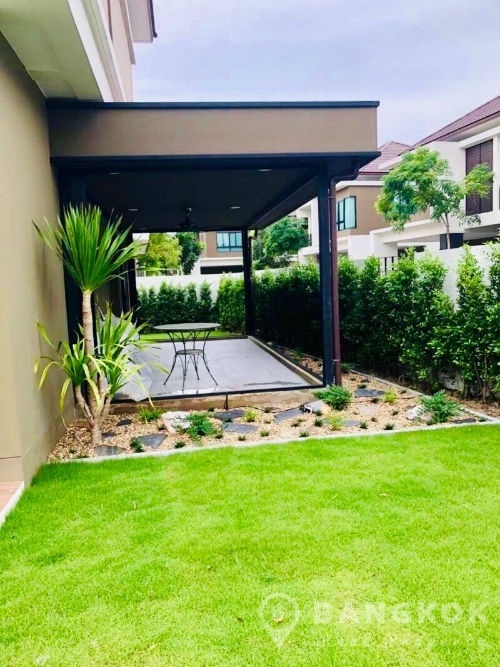 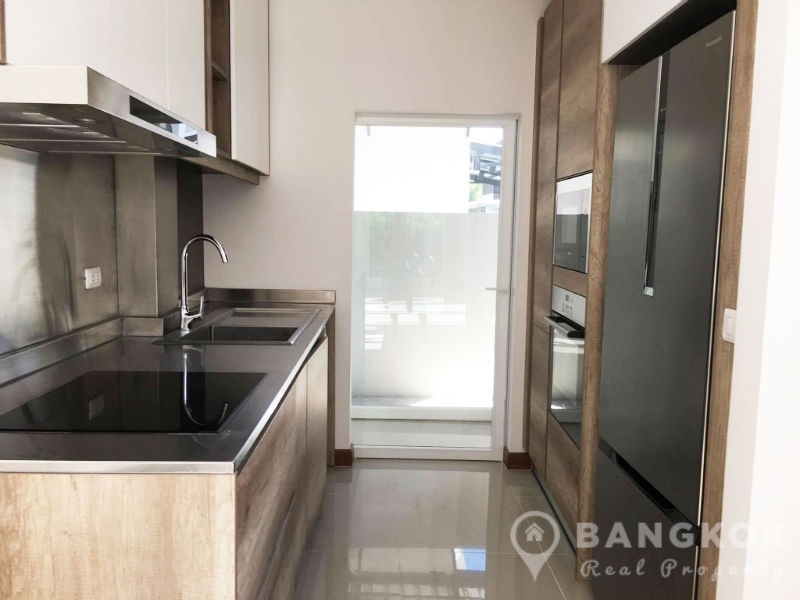 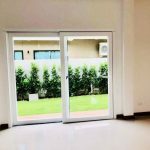 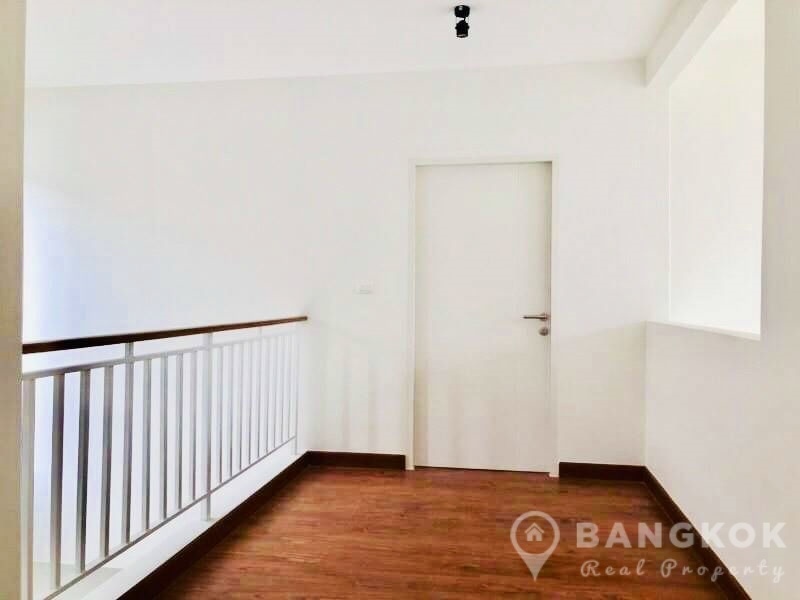 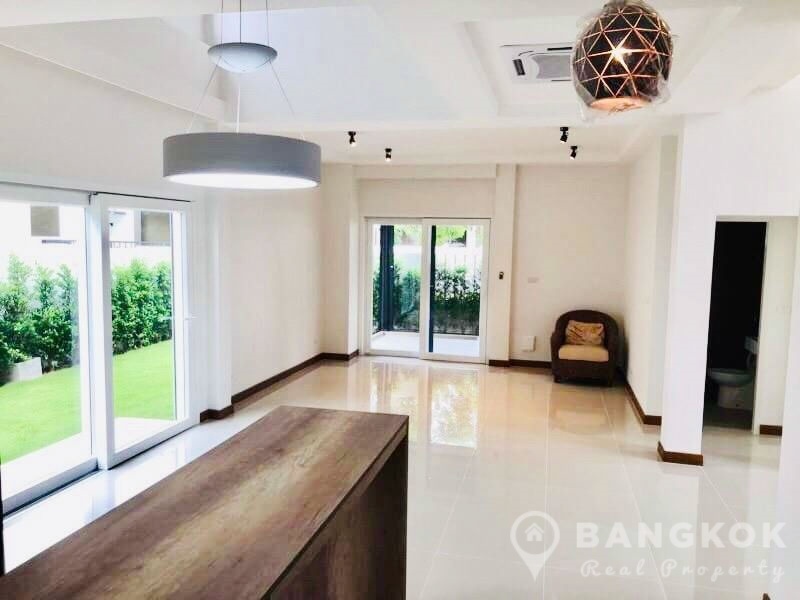 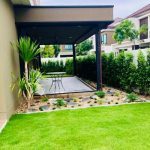 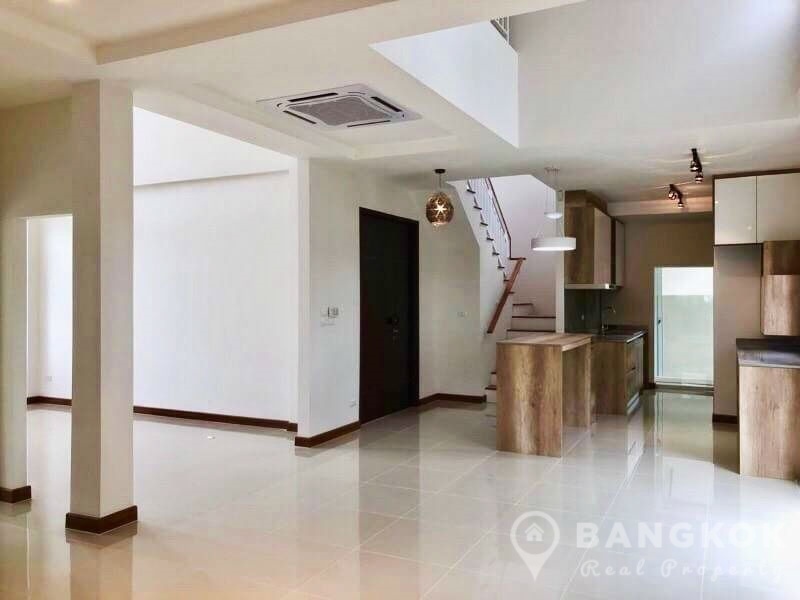 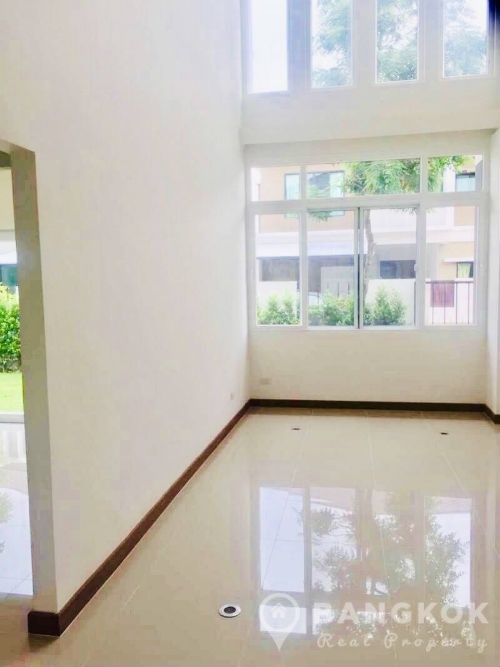 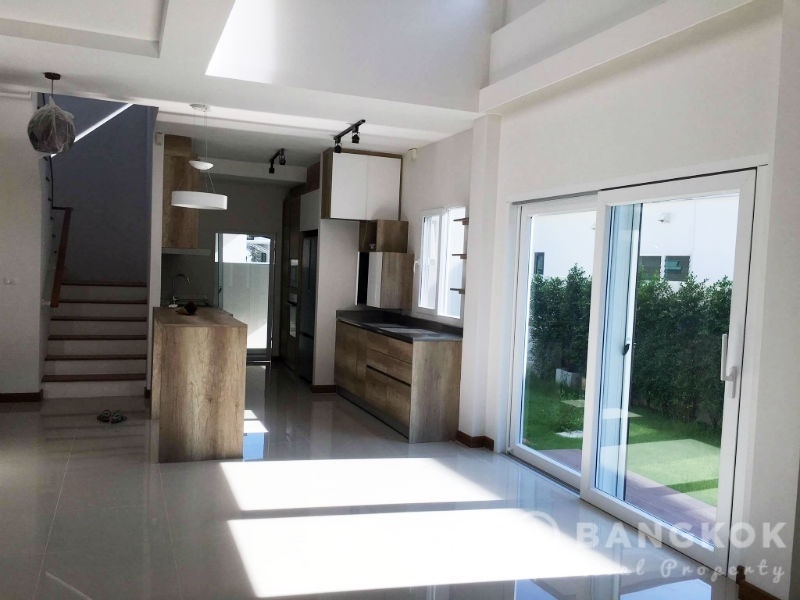 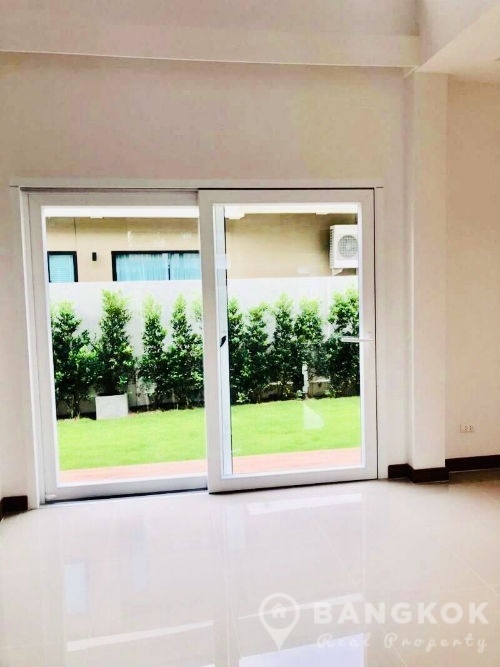 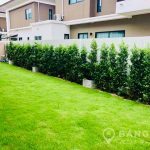 brand new, spacious, detached, 4 bedroom family home is now available for rent at Villa Arcadia Srinakarin ideally located in secure, gated village just off Srinakarin Road, with additional access via Bang Na Trat Road and within reach of Bearing BTS. 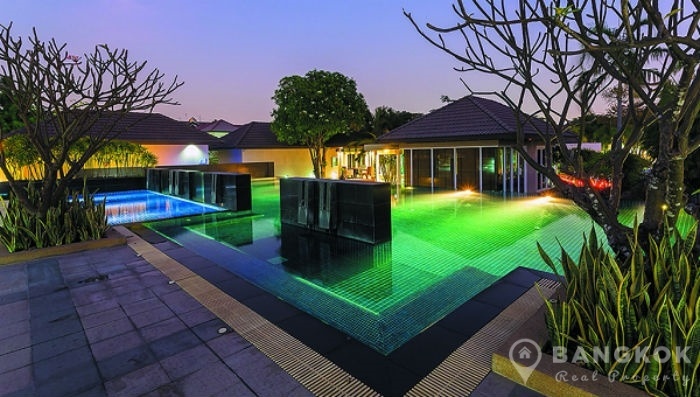 This modern gated village by King Wai Group covers 99 Rai and contains 365 houses in 2 Phases. 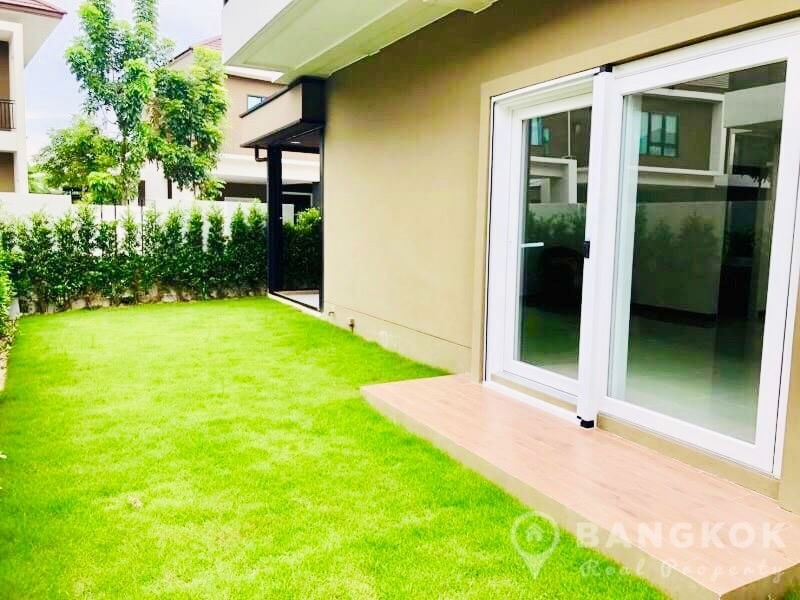 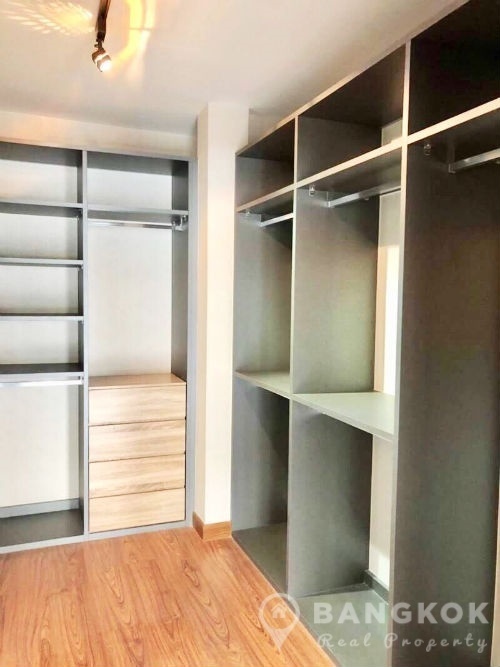 The development offers residents easy access to many amenities including IKEA / Mega Bangna Mall, Central City Bangna, Foodland Srinakarin, Suvarnabhumi International Airport, Sikarin (Srinakarin) Hospital and several top schools including Bangkok Pattana and Concordian International Schools. 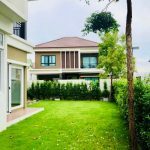 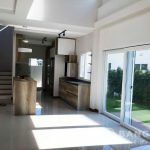 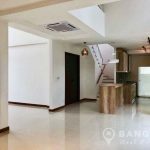 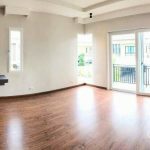 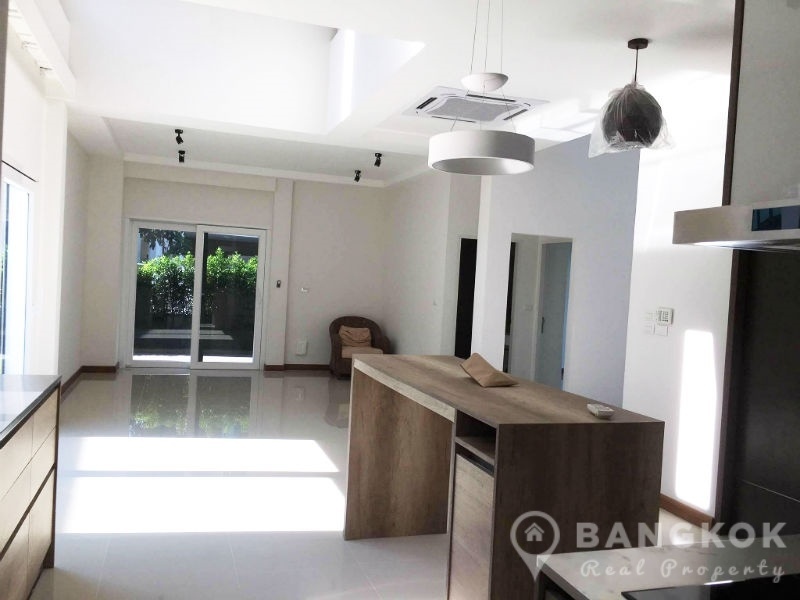 This modern, spacious, family home at Villa Arcadia Srinakarin has 4 double bedrooms, 4 modern bathrooms, 1 maids room and 280 sq.m of living space with generous garden on a plot of 85 sq.wah (340 sq.m). 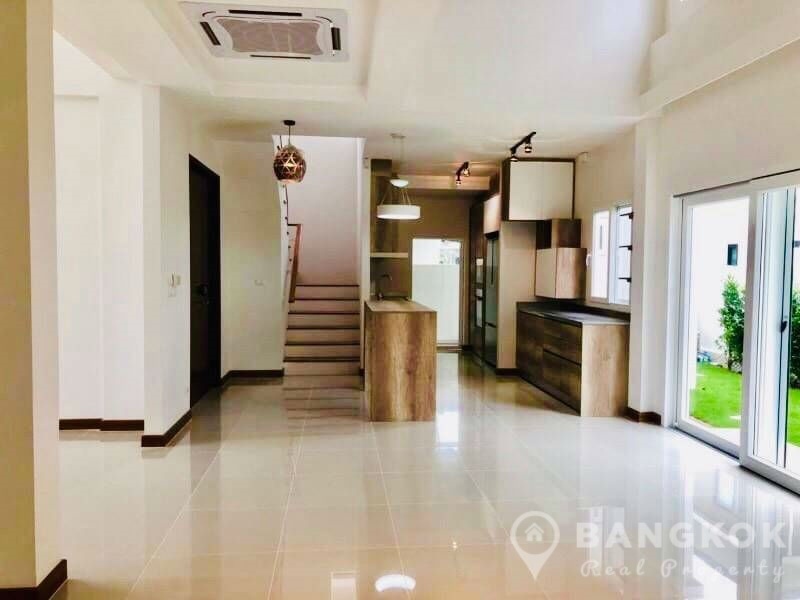 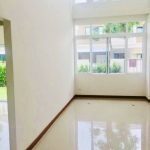 The 1st floor (ground) living space has high ceilings with double height dining area, guest bathroom off the livingroom, ceramic tiled floors and large windows overlooking the garden and direct garden access. 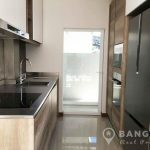 The modern kitchen has modern fitted units with built in ceramic, electric hob & extractor fan (hood), built in electric oven and eye level microwave, built in dishwasher and large family fridge freezer. 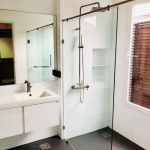 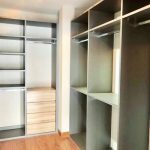 There is a utility area with washing machine and separate maids room with bathroom. 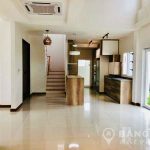 Upstairs there are 4 double bedrooms, a large master bedroom with walkin wardrobe and ensuite bathroom with power shower. 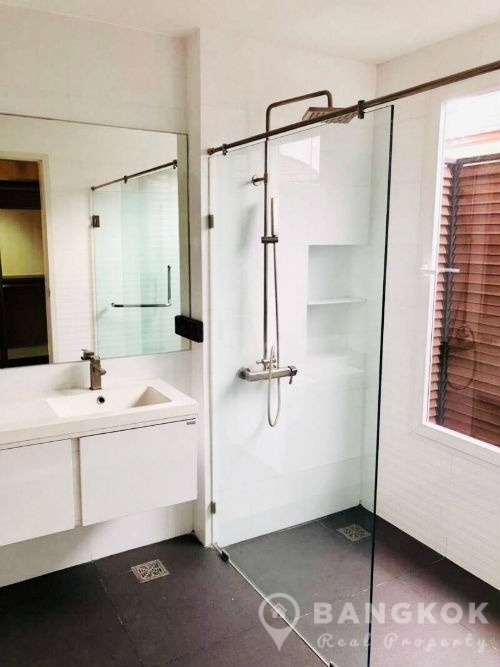 The 2nd bedroom has ensuite bathroom and bedrooms 3 and 4 share a modern family bathroom. 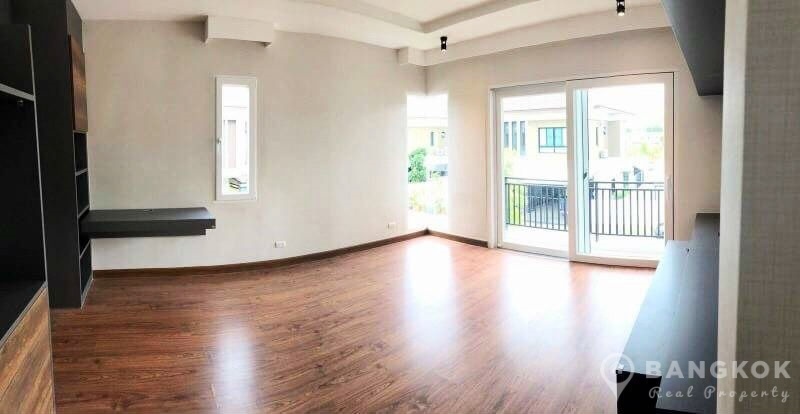 The 2nd floor floors are wood throughout. 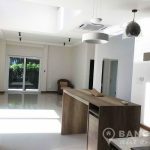 The house is rented un-furnished except for kitchen appliances. 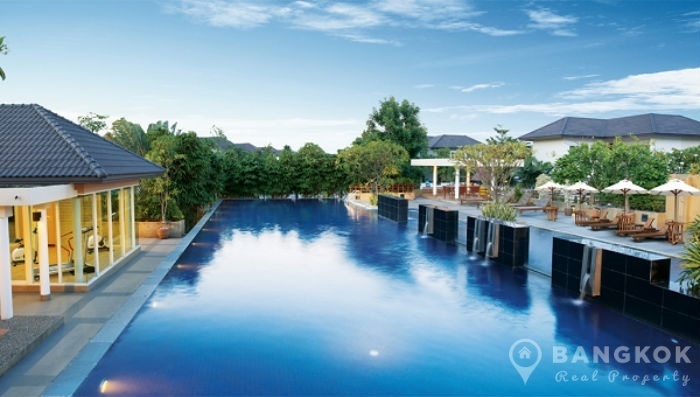 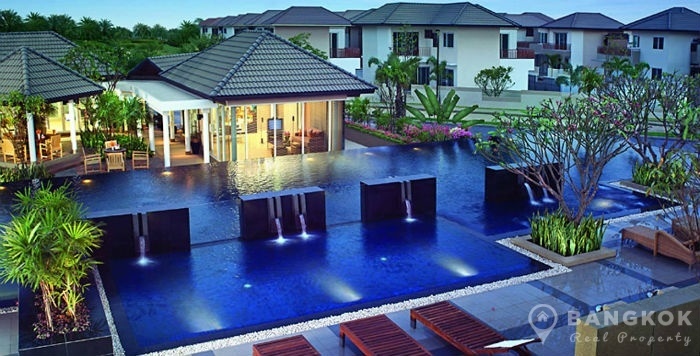 Villa Arcadia Srinakarin is a gated, secure compound housing development located just off Srinakarin Road. 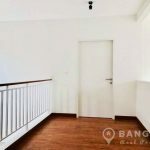 There is also access from Bang Na Trat Road. 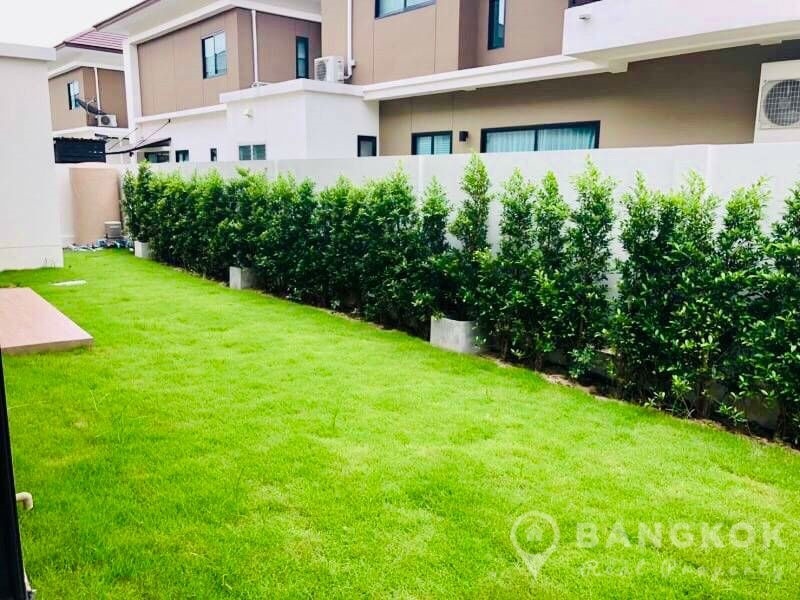 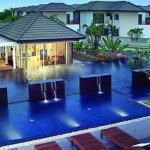 Developed by King Wai Group, in 2 Phases on a large plot of 99 Rai, Villa Arcadia Srinakarin comprises several houses types with 209 units in Phase 1 (building started 2008) and 156 units in Phase 2 (building started 2014) The compound has extensive landscaped grounds, club house, pool & gym in each Phase.